Could the Fins be serious about dealing for Nine? Last Saturday we passed along a story from the Miami Herald in which that former Dolphins great Dan Marino quasi-endorsed the idea of Carson Palmer being traded to Miami. “I’ve always liked Carson,” Marino was quoted as saying. “For a third-rounder, I’d do it.” Of course, the Dolphins cannot publicly acknowledge such a notion as it violates the NFL’s anti-tampering rules and without a CBA, no player trades can happen. Add to that Mike Brown’s historic stubborness and we figured it was mostly pie-in-the-sky speculation; hardly worth noticing. It probably still is, but Almondo Salguero at the Miami Herald is pushing for it to happen. In his latest offering that can be read here, Salguero says that he’s talked to various Dolphins officials who have been seemingly open to the idea. He goes on to contend that the Dolphins see Palmer as a better option than other potentials like Kyle Orton and Vince Young, and that his stats for 2010, though abysmal from our collective viewpoint, were better than the Fins QB’s to the tune of 63 points (9 TD passes). His pick-sixes were apparently not evaluated in the calculation. Salguero also points to his predicting the Ricky Williams trade nine months before it occurred as a reason to believe him. We’re not sure just how high-up his team sources are, but we wouldn’t discount Miami as an interested party if/when the Bengals listen to offers for the disgruntled crybaby. And there’s the rub. Will the old man make a move with Carson Quitter? While he outwardly says no, we have contended all along that he will, and on this Salguero agrees. I know, I know. 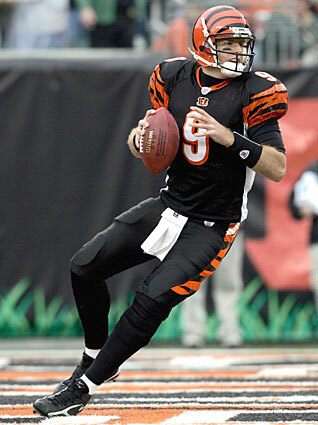 Publicly, the Bengals’ stance continues to be Palmer is their QB and he will play in Cincinnati or retire. Hey, doesn’t that sound like the stance Bill Parcells took on Jason Taylor in 2008? Yeah, that was the stance the Dolphins had just before they traded Jason Taylor to Washington. The point is, that is the public stance a team must take to keep hopes of getting value in return for a player. If the Bengals even hint they are moving on from Palmer, the price for him drops. And they do not want that because they would want the highest return possible for him. At any rate, we don’t see a third round pick getting it done. 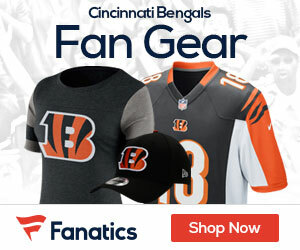 The Bengals will look for more than that in a trade, and there have been rumors that some of the West Coast teams would part with as high as a mid-to-late first round pick. In the end, a second rounder will probably get it done, or a package of a third and players or other picks. It’s an interesting scenario. From our perspective, it’s clearly in the team’s best interests to move Palmer when they can. If and when Mike Brown comes to that logical conclusion, how much they can get for him will be the main challenge. With so many other teams also in the hunt for good quarterback help (Minnesota, San Fran, Seattle, Arizona, Buffalo, Washington, Tennessee, etc) the Bengals could create a seller’s market and get enough value to improve the roster in several areas.